General Truck Sales leveraged Volvo's new VNL, VNR and VHD model families in straight truck and tractor applications to penetrate new markets, and has continued to invest in its facilities and service operations as a Certified Uptime Dealer. "General Truck Sales consistently proves to be one of Volvo Trucks' best all-around performing dealers and 2018 was no exception," said Bruce Kurtt, senior vice president of U.S. sales for Volvo Trucks North America. 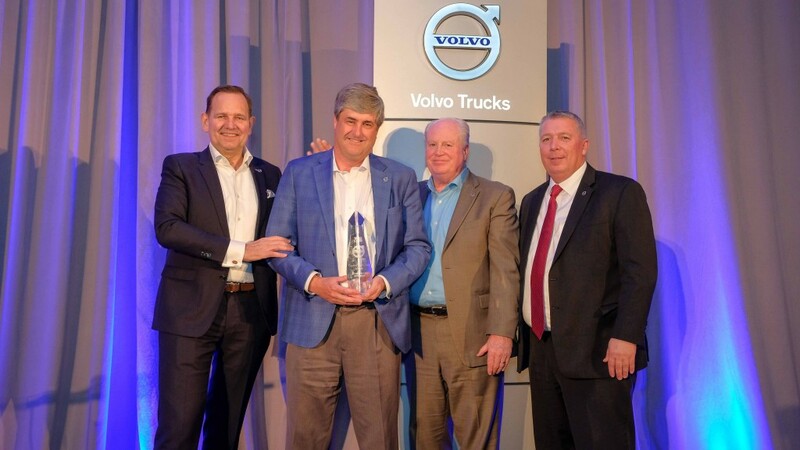 "Dealer principal Steve Bassett and the whole General Truck Sales team's continued commitment to customer success is unmatched in the industry and they are the ultimate ambassadors of the Volvo brand. General Truck Sales leveraged Volvo's new VNL, VNR and VHD model families in straight truck and tractor applications to penetrate new markets, and has continued to invest in its facilities and service operations as a Certified Uptime Dealer. General Truck Sales has been in operation since 1958 and has a track record of success under Bassett's leadership, having previously been named Volvo Trucks' North American Dealer of the Year in 2006, 2010 and 2016.